Toshont Power Products, established in 1993, is a Canadian distributor of Toshiba Industrial Electrical Products. 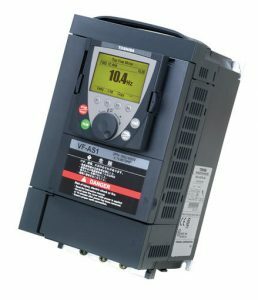 This includes low and medium voltage motors and VFDs, UPS, Power Apparatus and Components, PLCs and service. In 1996, in response to our customer’s custom needs, we expanded and opened our own Custom Controls Panel shop in Burlington. We also opened a sales office in Sudbury in 1996. In 2019 we opened a sales office in Montreal QC. Our dedicated team have made us one of the largest and fastest growing Toshiba distributors in North America. 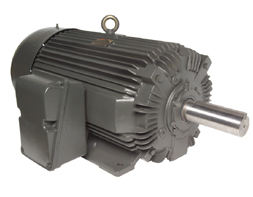 Our selection of low voltage motors are some of the most reliable and robust motors in the market. Built to withstand virtually any industry and application, setting new standards in extreme duty performance and durability. 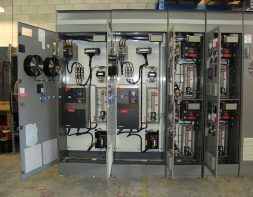 From basic to complex, Toshont’s in-house engineering and technical staff have been designing and building panels for over 15 years. All panels are tested in our shop before shipment. By following the most stringent standards, our drives are recognized and proven to exceed the requirements for virtually any industry, application, and environment. Search our database for Motor Application Guidelines, VFD Application Guidelines, and Energy Efficiency Guidelines.